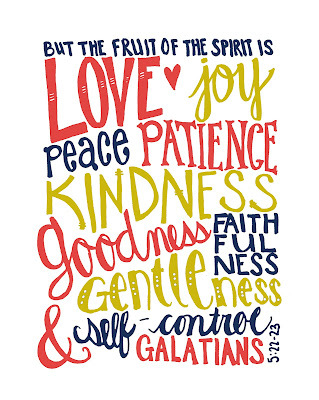 Many consider the Holy Spirit difficult to know and experience. 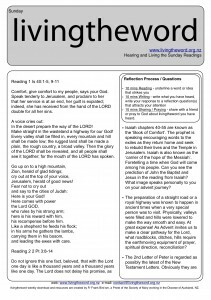 A guide from the scripture texts may be we need to be more courageous in mission – to ‘be taken to court’ – to experience the Holy Spirit at work? Can you identify an experience of the spirit at work in your life? How could this experience be grown and deepened? The Prophet Isaiah remarks that the land called ‘District of the Gentiles’ (the area around the sea of Galilee) will see ‘a great light’. Imagine a small narrow road linking one part of the world with the other. This is the ‘Holy Land’ (Israel). It was a very busy trading route. Consequently there were many ‘foreigners’. For Jewish people it sometimes felt like a curse. However in God’s plan the light shines brighter in the darkness. Have you ever experienced being lost in darkness and then helped by a light? What happened. What is Isaiah trying to teach us about God? St Paul continues his writing to the people of Corinth. He is upset that their witness and service to Christ has turned towards arguments rather than charity. Have you ever felt a group of people wanting you to ‘belong’ to ‘their idea’? Have you had an experience of ‘division’ in the community or workplace or parish, people claiming the same purpose but not united in ‘mind’? Did you seek to understand ‘both sides’ and seek unity, or, did you grow division? Today in Matthew’s Gospel Jesus leaves his home town of Nazareth and arrives in Galilee. Fulfilling the 1st Reading prophecy of Isaiah, Jesus spends most of his 3 years of public ministry between 3 towns in Galilee. As the new year begins do you feel it is time to leave your ‘Nazareth’, your place of comfort, and enter ‘Galilee’ to undertake a new challenge? How could you be a light to ‘people who sit in darkness’? Those overshadowed by death, sickness, sadnees? In the time of Jesus, the phrase Kingdom of Heaven and Kingdom of God were special. Everyone was waiting for the time when God would finally overcome the power of evil. Essentially Jesus begins preaching a ‘wake up’ call: ‘change your mind (repent), take notice, God is now showing victory over evil! This is the good news. Have you ever noticed Jesus both preaches and heals. Words and actions go together. How does your life bring the kingdom of heaven and contribute to the overcoming of evil? Is your faith words and actions? Fishing was the main industry around the sea of Galilee. Peter, Andrew, James and John were probably not ‘poor’. Boats, nets, family, work colleagues, commitments and bank accounts are significant for them (and us!). Yet they are placed second to Jesus’ invitation to follow. Is the presence of your life curing and comforting (disease and illness?) or comfortable and callous? If you had to write a sentence of what you thought God would personally like you to do / be, what would you write? Acts 10 is a very important chapter and experience in the life of St Peter. Peter was Jewish and was brought up in strict observance knowing what was ‘clean’ and ‘unclean’. Non Jews (Gentiles / Greeks) were considered ‘unclean’. If you entered their home or ate with them you became ‘unclean’. Peter is told by God to go into Cornelius’ home. He was a gentile and a despised Roman soldier!). Peter has a significant conversion of the mind…. ‘people of every nation are acceptable to God’. Who do you consider to be ‘clean’ ‘unclean’? What obstacles did Peter have to overcome to go into Cornelius’ house? What obstacles do you have to overcome? Priest – to bring the world to God and God to the world. Prophet – to listen to the scriptures and speak God’s word of comfort and challenge to the world. 5. What is one action that you will do to be ‘livingtheword’ this week? The 4th Sunday of Advent points excitedly to the next few days – the birth of Jesus. In the final days before Christmas how could you achieve a balance: writing christmas cards and preparing heart and home for Christ. Attending christmas parties and choosing space and silence for prayerful listening to God. Buying christmas presents and being a christmas presence? If you were asked to describe your joy at Christmas what would you say? Ahaz was King of the southern Kingdom of Judah. Isaiah was trying to encourage him not to enter a military agreement with Assyria. Both God and Isaiah hold a conversation with Ahaz. Go on, ask for a sign from God! He declines, most probably because he does not want any sign to change his mind. Is there any decision you have made which you stubbornly refuse to change your mind about yet feel God wants a conversation about it? If you were to ask for a sign from God to guide your future, what would you ask for? The ‘sign’ of a young girl of marriageable age (maiden) conceiving and bearing a son ‘Emmanuel’ has been interpreted as a great fulfilment of Gods birth among us in Jesus through Mary. When a sign is given it requires both ‘seeing’ and ‘understanding’. Ponder a ‘sign’ that has changed your life. How has the ‘sign’ of Jesus changed your life? Paul frequently introduces himself as ‘a slave’ of Christ Jesus. Being a slave is actually freeing for Paul. The emperor, idols, money, possessions… nothing and nobody is his Master. Only Jesus. He lives in love and for love alone. Jesus, who is God ‘enfleshed’ has the first call of obedience on his life. Can you glimpse Paul’s joy and freedom? What has God ‘sent’ (the meaning of the word ‘apostle’) you to ‘be’ and ‘do’? Are you free enough to say ‘Yes’? Easter (and the next 7 weeks) is filled with the belief in the Resurrection, the appearances of Jesus, and readings from the Acts of Apostles. Acts 10 (first reading) is very significant as it involves Peter addressing a gentile (Cornelius) and his family in their home. Jews could not be in a gentile house or eat with them because of the clean / unclean restrictions of the Jewish Laws. This ʻuncleanʼ ʻsinnerʼ ʻimpureʼ label is the biggest obstacle between Jews and gentiles not only in the Old and New Testament but even today. God was demanding the unthinkable from good and law abiding Jews. Peter was being taught by God to ʻlift the status of ʻuncleanʼ off the backs of the gentiles.ʼ What cultural, religious, family boundaries have you been brought up with which lead you to separate yourself from others? Who does the world label ʻuncleanʼ? The Resurrection is a belief in Jesus rising from death. It is also deeply a life-style victory over powerful rulers who crush the poor and powerless. Does your belief in the Resurrection show itself in a Resurrection lifestyle? The image of Easter Sunday is the empty tomb. If thieves had stolen Jesus they would not have unwrapped him. The burial cloths are ʻaloneʼ. The story and evidence is shared. People consider it ʻnonsenseʼ. Peter walks home ʻamazedʼ. If you were present in the Resurrection scene, having witnessed his suffering, death and burial. And now the empty tomb with burial cloths on the ground… what would you think? 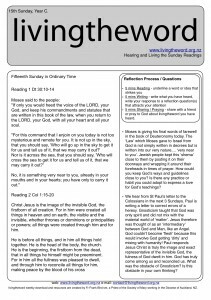 A stolen body or risen Lord? What thoughts and emotions would be present? Spend some time at the ʻtombʼ and see what it teaches you. Can you ʻseeʼ and ʻbelieveʼ? 15th Sunday Yr B – What! No food, no bag, no money? Amos was a curious character. His ‘job’ had been to cut and prune trees. But he decided to go to the Bethel ‘Shrine’ (think National Cathedral) and declare that while the country was not at war – and wealth was increasing – the poor were being oppressed. Because God’s will was often spoken through ‘prophet’s’, a King would carefully silence this prophetic voice by putting priests and prophets working in the national shrine ‘on the pay-roll’. Amos declares enough is enough! The Priest of Bethel, Amaziah, wants Amos to ‘go away’. Amos declares ‘I am not corrupt and ‘paid off’ like you. In the wealthy-and-oppressed debate today, who is an ‘Amos’ you know? Who is an ‘Amaziah’ you know? What do you say about the issues affecting the poor when it is raised in conversation? At the beginning of the Gospel of Mark a very clear pattern of events takes place with Jesus. Everywhere. Everyday. Jesus casts out evil. The kingdom of God is more than an idea. It is to be an experience where good replaces evil. 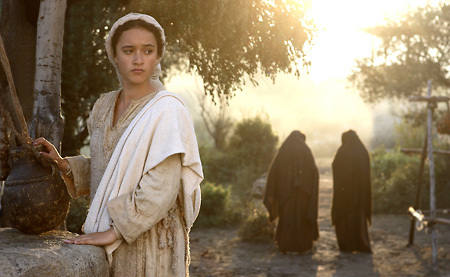 After his own townspeople of Nazareth refuse to believe in him, instead of sulking and being limited by their rejection, he calls ‘twelve’ to go out with power to cast out evil. 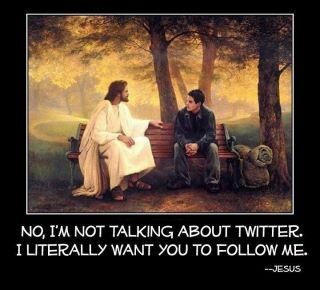 Jesus empowers others to become ‘like’ him. Have you experienced a moment of decision: Shall I react and let myself become ‘small’ or be proactive and allow myself to become ‘big’? How can you work toward becoming a kingdom person of ‘healing and curing’? The lifestyle of the disciple is significant. We are to live as Jesus lived. Only wandering missionary items were to be taken – sandals and walking stick. An extra tunic was frequently used as a tent to keep one warm for the night. No extra signs of wealth or comfort. No ‘house-hopping’ when the food or bedroom may not be great. Disciples were to witness to a life-style that revealed the concerns of the kingdom, not concerns of comfort. Are you concerned or comfortable? Is life becoming cluttered with Items at the expense of Interest at taking ‘authority over unclean spirits’? A missionary disciple can become worried or saddened they are not welcomed or listened to. Jesus tells them they can adopt the Jewish practice of ‘dusting their shoes’. Jewish people on returning from a gentile land into the ‘holy land’ dusted their feet at the border crossing. They symbolically ‘shook off’ any rejection of God from unbelievers. Is there a rejection experience you are still trying to work through and ‘shake off’?